Beautiful like-new gown. This is the sample size and has not been worn to a wedding. It is unaltered, so you can fit it to your heart's content. It's breezy, light, comfortable. As you can see from the photos, I felt absolutely beautiful wearing it. The way the silk bottom drapes and moves is dreamy. 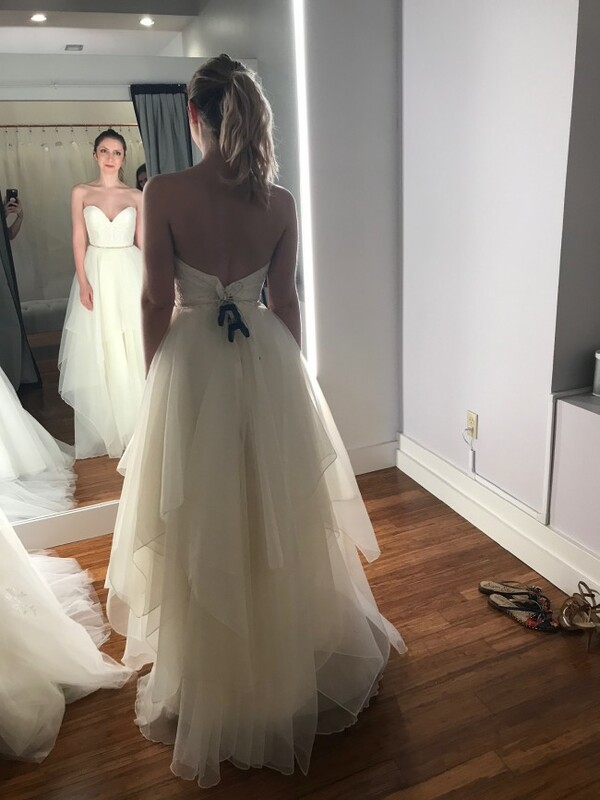 The gown does not come with a belt, but you can see in some of the photos what it would look like if you bought one.